Director Benedikt Erlingsson takes us back to the days when the most outlandish, skillful and breathtaking acts traveled the world. Roll Up, Roll Up for an unforgettable experience! This film tells the story of itinerant circus performers, cabaret acts and vaudeville and fairground attractions. 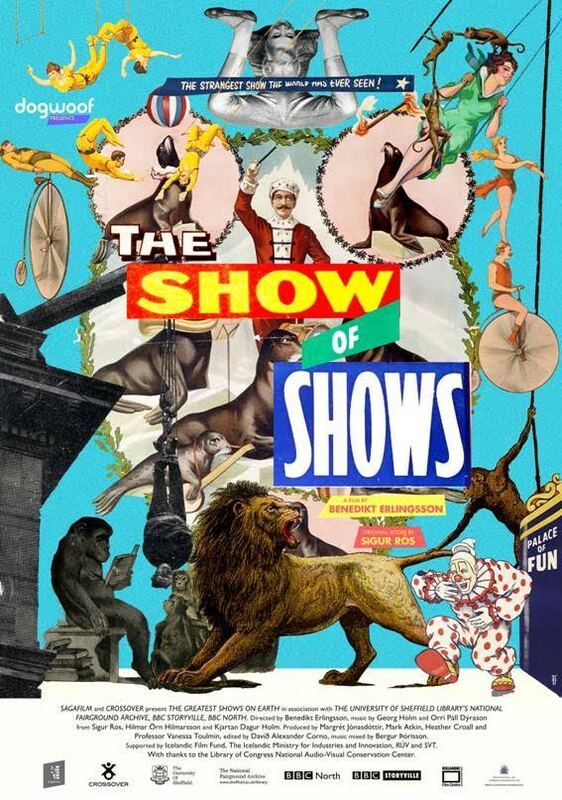 In this film, rarities and never-before seen footage of fairgrounds, circus entertainment, freak shows, variety performances, music hall and seaside entertainment are chronicled from the 19th and 20th century. We will see early shows that wowed the world and home movies of some of the greatest circus families. This rich visual archive has been created with exclusive access to The university of Sheffield’s National Fairground Archive and is accompanied by an epic new score by Georg Holm and Orri Páll Dýrason of Sigur Rós, in collaboration with Hilmar Örn Hilmarsson and Kjartan Dagur Holm. Benedikt Erlingsson (1969) is one of the most successful stage directors of the last decade in Iceland and has several times been awarded for his work both as a director, author and actor. As an actor he has played number of roles on the stages of the Icelandic scenes. Benedikt has also participated in numerous films and TV-series as an actor, for example, Lars von Trier’s film “The Boss of it All”. His solo performance playes “Wormstongue–A Love Story” and “Mr. Skallagrímsson where one of the most long lasting sucsesses in Icelandic Theater history, performed by himself on Icelandic stages non-stopp for 6 years. His first short film “Thanks” receiving the Jury Prize and Audience Award at the BE-Film Festival in New York in 2008. “The Nail” his second short film received a Special Mention at the International Short Film Festival Clermont Ferrand in 2008. “Of horses and Men” is his first feature film and has been travelling extensively on the festival circuit and receiving many prizes.